Looking through my blog and the changes I have made over the course of the semester, I did my best to make it as professional-looking as possible. Initially when I chose my blog design, looking at week in and week out, I felt as though it wasn’t as professional looking as it could have been. I decided to change the design up and then add some more widgets. Overall, I feel as though my blog looks fairly professional without having to invest money into my WordPress blog. Throughout the semester, I learned a lot about web journalism and how websites are operated correctly. I never realized how much time is actually invested into a website. It also intrigues me how many individuals are used to make a website operate correctly. I loved so many different aspects of this class and the way it was structured was great. I loved having to keep up with a blog because it gives us greater understanding of what professional bloggers, and website content writers go through every single day. If I was ever in a newsroom, I would never take writers and bloggers for granted. Thank you. My blog en try this week is a different blog than I have ever seen before. It has little words but the sketchbook drawings are what tells the true story. It is a blog about the sketches from Victor A. Lundy who was an artistic man whom enlisted in the Army Specialized Training Program. Lundy was initially trying to be away from the front lines, but during WWII, the country needed all they could get on the front lines. Lundy then took his sketchbook and documented the scenes around him from a visual perspective. I know it does not have anything to do with Comment Moderation, but it is truly impressive to see how well the sketches were drawn up. Here is a like to the article itself. Listening to Scott Pelley accept this award is great. He seems to have great sense of humor and knows how to chat with a crowd. Once he gets onto the serious topic regarding journalism nowadays. It is really interesting and I had to really think about what he said. I really like how he brings up Fred Friendly and what his thoughts would’ve been in regards to this topic. Overall, I agree with what Pelley says. Humility would really serve us all better but that unfortunately isn’t how it always is. As a country, we really pick out negative over positivity and bad journalists/stories are highlighted more than good, strong journalism. I wish there was better journalism out there for us to always rely on but there is so much rubbish out there that we can’t always rely on. Pelley is correct in regards to the USA having the best journalism, but we also have really poor journalism all around us. Social media doesn’t make it any easier, but it does highlight poor journalism. In order for us to maintain strong journalism standards, I think more journalists should try to gain better sources and truly work harder to maintain their integrity. I know that if I was going into the journalism field, that I would focus on quality over quantity every single time. A quality story that is accurate is more important to me then when you break an inaccurate story. We need more people like Scott Pelley. Looking around Feedly has been intriguing to me since we first started this class. I have looked on the site itself quite often. Recently I found an article entitled: “Expert Tips for A Successful Digital Marketing Campaign.” This blog post definitely caught my eye when I read the portion about successful digital marketing. What was great about this article is that it was easy to follow and the content made sense to me. It was laid out correctly and the author certainly knew what he was talking about. I liked how he utilized bullet points and images to show how to become successful. I have always been interested in Digital Marketing, and now that I read this, I learned so much about the industry itself. I hope that whoever reads this blog will learn something great too! Trying to find coding blog posts is extremely tough on Feedly. I wasn’t about to find one directly about coding but actually one about application designing for phones. It is called, “What Everyone Should Know About the Process Behind App Design.” It is written by an experienced app designer who explains to the readers that he has been designing apps for over nine years and the making of apps has been such a rollercoaster ride of ups and downs. It is interesting as an outsider looking in how much app design really has changed. It is crazy how far we have come since the Motorola Razors came out. Now we have phones that can do just about anything you want them to and they can do it quickly thanks to 4G LTE. The writer of this blog explains that while creating an app may have changed drastically, the process of designing an app is still very similar. The planning is key when it comes to app design and figuringout the best way to create it is huge. The article is a good read for someone that is even the slightest bit intrigued with app design. I have always wanted to learn but have not had the opportunity to get formal training in the subject. This article only makes me want to learn more. Enjoy! I had an extremely hard time looking through our Feedly feed and finding an article about the business side of web/print journalism. The best I could come up with, and is quite interesting, is an article about “Universal Income.” Tesla and SpaceX founder Elon Musk talks about in the article, and in a YouTube video, how he believes that human workers that lose their jobs to robots, should be given a universal income no matter what. What is odd to me is that he doesn’t really lay out a play regarding it, but he just says that there should be a universal income because robots and machine are virtually taking over the world. He isn’t wrong at all, but I do find it interesting that he thinks enough jobs will be taken by machines that he just nulls the idea of humans getting other jobs. There are plenty of jobs out there; some may not pay as well as they are used to, but there are jobs. 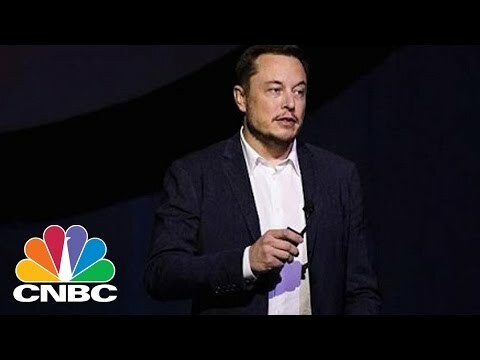 It is an interesting YouTube video (embedded below) and as the article states, many CEO’s have shown no support to this idea of universal income. I am personally not surprised that it was shot down. I feel like universal income is another word for collecting unemployment. Here is the link to the article. Scrolling through Feedly once again, I came across a fitting story regarding Social Media. As an avid social media user myself, I thought the article “3 Social Media Tactics For Businesses That Struggle With Social ” was very intriguing to me. The author of this blog made it very clear how a business can really learn from Social Media and grow even if their business is run “old-fashioned.” It has been shown in countless studies that Social Media managers of companies has risen astronomically over the years and it will continue to grow since everything is over Facebook, Twitter and Instagram nowadays. I hope you enjoy this article as much as I did! I had major issues trying to figure out how to embed my Storify to my blog because of HTML issues. I hope that the hyperlink suffices.